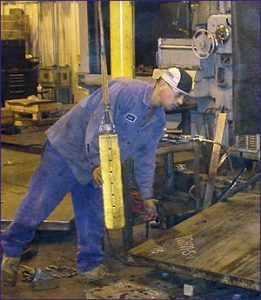 Occupational Environmental Health Solutions, Inc.
We are a national, full-service Industrial Hygiene consulting firm that originated in 1999. Clients are served from our Chatham, Illinois office, which is a suburb of the state capital, Springfield. 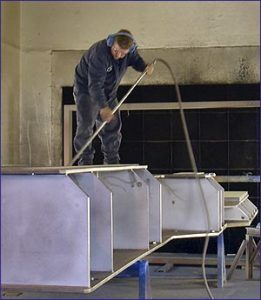 The firm specializes in traditional Industrial Hygiene and Indoor Air Quality. OEHS, Inc. has completed projects in thirty-two states and provinces throughout the United States and Canada. These projects range in size from simple Industrial Hygiene (IH) or Indoor Air Quality (IAQ) surveys/investigations to large, complex industrial hygiene audits and project designs for medical centers, commercial buildings, schools, universities, and office buildings. Since 1977, OEHS, Inc. personnel have completed over 7,500 IH and IAQ assessments, audits, and inspections. What Can You Expect From OEHS? A complete range of Industrial Hygiene services, from surveys and training to Occupational Safety and Health Administration (OSHA) program audits. A team of qualified scientists including an Industrial Hygiene staff, led by a certified industrial hygienist, who understand the ever changing regulations that govern workplace health and safety. An experienced, professional team to help you improve productivity, protect your employees, reduce employer liability and achieve regulatory compliance. 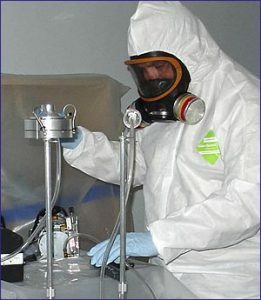 Services provided by OEHS, Inc. include comprehensive Industrial Hygiene audits, air monitoring surveys, health & safety training, construction plan review to preclude design issues for indoor air quality and industrial hygiene, indoor air quality investigations for both microbiological and chemical contaminates, fungal “mold” abatement design and specification development, occupational noise surveys, hearing conservation programs, community noise surveys, respiratory protection programs and respirator fit testing, evaluation & design of industrial ventilation systems and safety audits. Every project undertaken by OEHS, Inc. is given full and careful attention by our staff. Keeping current with the latest occupational health and safety standards is a constant struggle. The increasing number of new regulations being promulgated into law makes just obtaining copies of the documents difficult. If your company depends upon you to monitor environmental factors and stresses in the workplace, the larger burden of time is reading, digesting, understanding and applying this voluminous information. OEHS, Inc. offers industrial hygiene and safety experts with the knowledge and skills in the areas of chemical, physical, biological and ergonomic hazards and the latest information on OSHA laws which will help make your organization a better place to work by reducing the potential for unnecessary workmen’s compensation costs and regulatory agency non-compliance fines. The founding partner and corporate principal is Jim Barnes, a Certified Industrial Hygienist. Mr. Barnes brings extensive experience to the leadership of the business and is an active, hands-on executive who is personally involved in each OEHS, Inc. project undertaken. Below are some of the highlights of Mr. Barnes extensive continuing education vitae.